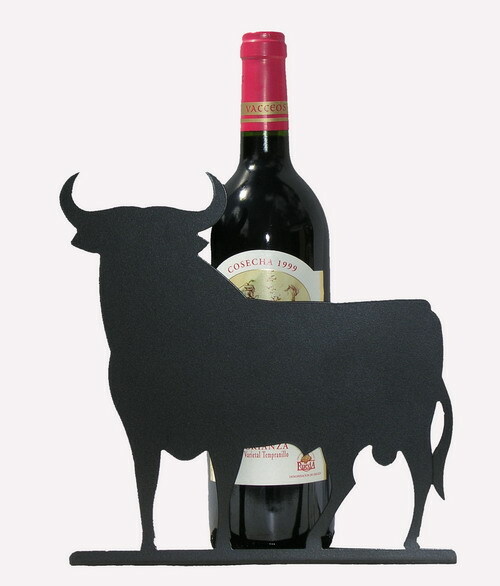 Wineholder in metal with the bull's shape 22cm. Original wineholder with the most emblematic bull of Spain. It is time for you to show off to your guests the quality of your wine cellar and demonstrate your kindness and your good savoir-faire regarding the choice of an authentic Spanish wineholder. It is very useful and practical, also elegant as a gift or as a bullfighting and flamenco-like decoration on your table.